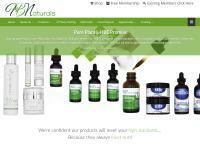 HBNATURALS...ALL NATURAL PLANT BASED PRODUCTS FOR THE BODY AND SOUL!! Heart & Body Naturals was launched with one simple purpose; sharing the synergistic Healing Trilogy products formulated with the healing power of plants provided by our creator. The life-enhancing Healing Trilogy products are the one and only reason for Heart & Body Naturals' existence. If you take away Alexandria's formulas, there would be no Heart & Body Naturals. From the early New Mexico clinic days, Mind, Body, and Soul have each assisted the body with healing naturally and provided a synergistic response when used together. Heart & Body Naturals is honored to be the only company to offer Alexandria Brighton's original Healing Trilogy.